on the Piedmont Hospital website. 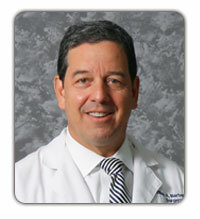 Dr. Barber, an Atlanta native, has been in the private practice of surgery at Piedmont Hospital since 1987. He currently serves as the Director of Surgical Education at Piedmont Hospital. Dr. Barber served as Chairman of the Department of Surgery or Chief of Surgery at Piedmont Hospital for 16 years. He also served as President of the Atlanta Surgical Association. Dr. Barber has received the Patient’s Choice Award and he was recently voted as one of the top ten physicians in the metropolitan Atlanta area regardless of specialty by patient satisfaction scores. Dr. Barber has been named to Top Docs, Top Surgeons, Best Doctors, and Most Compassionate Physicians for greater than 5 years consecutively. Dr. Barber has limited his practice to breast surgery with a special interest in breast cancer surgery. He is certified by the American Board of Surgery, and is a member of the American College of Surgeons and the American Society of Breast Surgeons. Dr. Barber has done numerous print and TV interviews involving a wide variety of topics related to breast cancer care. Dr. Barber is known for his compassionate care, and for using cutting edge technology and techniques to ensure only the best possible outcomes for his patients. His goal is to provide excellent care in the safest manner possible. Dr. Barber likes to give his cancer patients his cell phone number, and routinely calls those patients the evening prior to surgery to make sure their questions have been answered. Dr. Barber and his wife Rosemary have two children, Emily and William. Emily is a University of Georgia graduate and William graduated from the University of Virginia in Charlottesville, Virginia. Dr. Barber is an avid Atlanta Braves fan that enjoys working hard, playing tennis, water skiing, hiking, and spending time with his family.